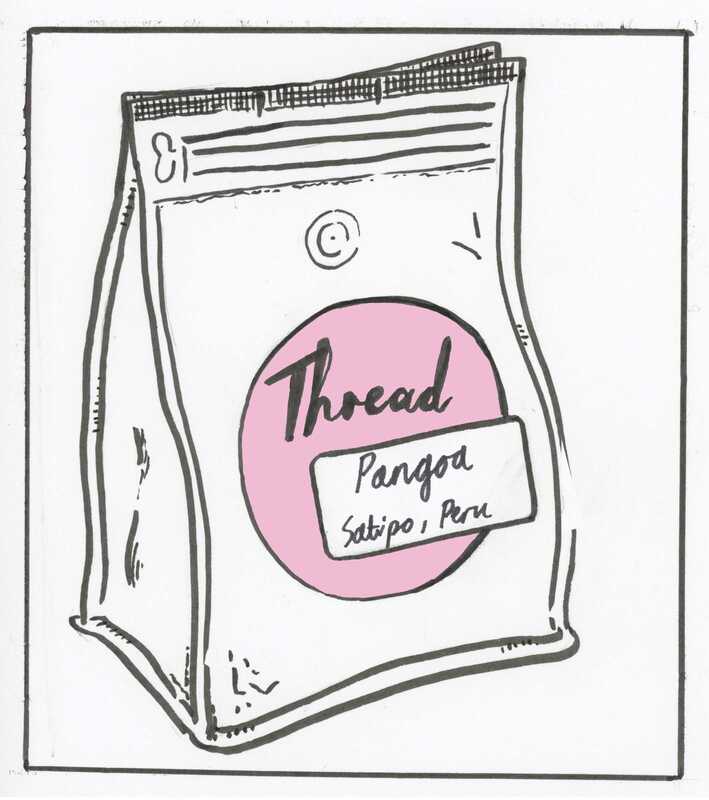 Thread Pangoa - Peru Location: Pangoa – Junin (250 km East of Lima in Central Amazon Region) Elevation: 1000-2000 meters above sea level Varietals: Caturra, Typica, Bourbon, Pache Diversification: Cacao, honey, fruit trees, roasted coffee, ecotourism Average farm size: 5 Hectares per member average Tasting Notes: Full bodied, smooth, with notes of baker's chocolated and toasted nuts Great as an espresso! Just east of the Andes, in the central Amazon region of Peru, lies Cooperativa Agraria Cafetalera Pangoa. It was founded in 1977 by 50 members, it is now made up of approximately 700 farmers. Over the years they've come a long way. They survived the loss of hundreds of farmers who had to flee to cities to escape the violence during 1980s, and have since strengthened their cooperative, providing immense support to their members. The majority of their members have been able to switch over to Organic or are in transition, and after receiving Fair Trade certification in 2001, they set up both an Educational Fund and a Health Services Fund. They've expanded their Fair Trade premium project list to include tree renovation, improving their members’ living standards, developing individual wet processing plants and sun setting over central drying patio drying stations, and covering the funerary costs of any members. With these extra funding projects, Pangoa hopes to better, and more broadly, meet the needs of its members. We hope you enjoy this coffee which is full-bodied with notes of toasted nuts and baker's chocolate.